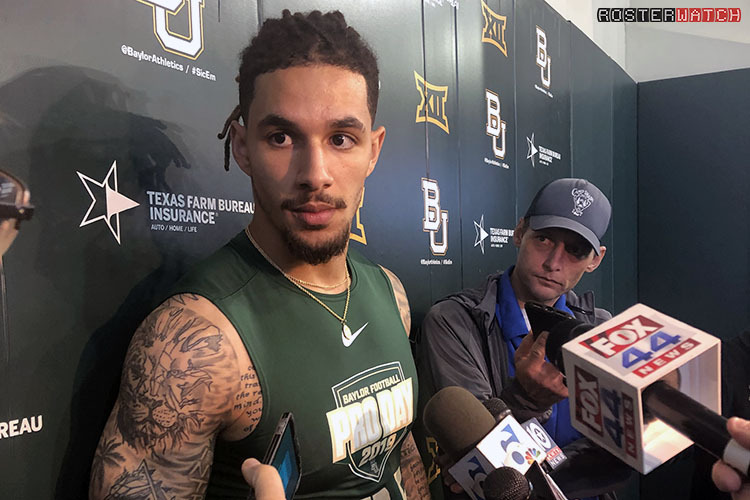 Subscribers can now view Jalen Hurd’s drills from his 2019 Baylor Pro Day by going to the shared pro day video library available exclusively to RosterWatch PRO members. You can access videos from this workout and every stop we’ve ever made on the pro day tour dating back to 2013 by navigating to the access page at the bottom of your PRO DOWNLOADS SECTION. Enjoy! In a 12 1/2 PPR league got the following trade offer. Roster construction is 1 QB 2 RB 2 WR 1 TE 3 Flex. I would give up Coutee, Keke HOU WR, Westbrook, Dede JAC WR, and Year 2019 Draft Pick 2.08.
that deal is fine given your WR depth. We like the idea of getting Davis on the relative cheap right now and who knows if Duke ends up in a better spot. Also really like getting Andrews as a thrown in.